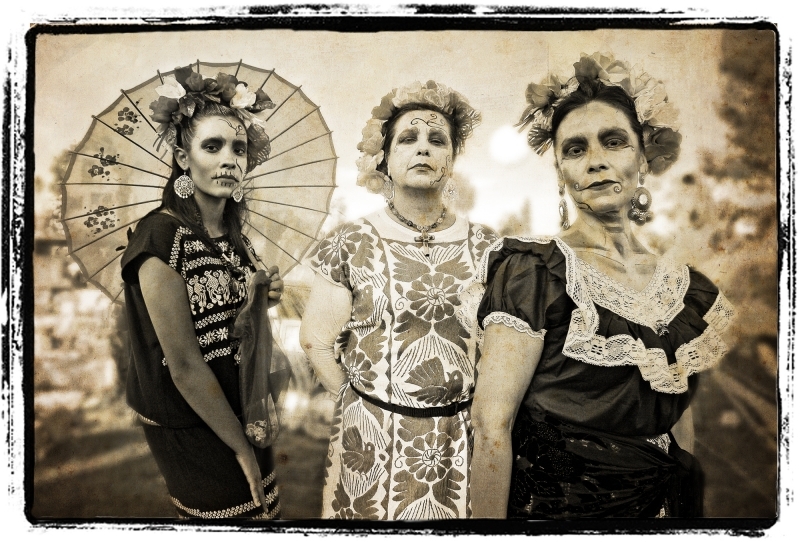 Dia de los Muertos is about gathering families and friends to pray for and remember friends and family members who have died. These women were commemorating the women of Oaxaca who have disappeared through violence or other means. I was moved by their resolve and the expressions on their faces. The antique appearance for me accentuates the timelessness of who they represent and accentuates the emotion from this photo.